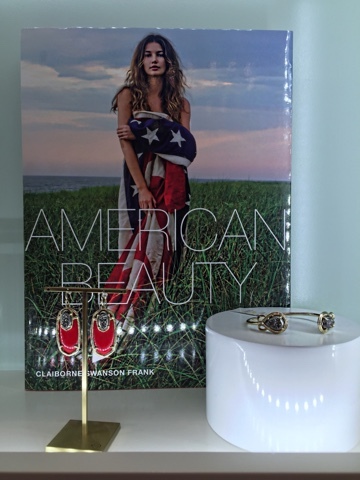 Recently I was invited to the new Kendra Scott store located at The Pointe in El Segundo, California. The Pointe is a beautiful new open air center filled with fabulous restaurants and shops. It is only fitting that Kendra Scott has a store located here. 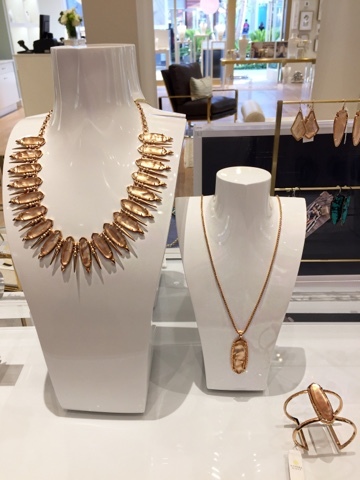 The Kendra Scott store is amazing! From the moment you step through the door it is as if you entered a dream boutique located in what would be the grandest closet you could ever imagine. 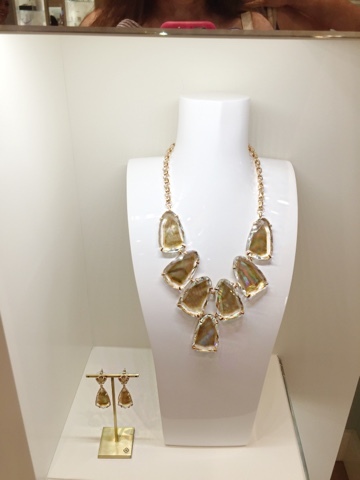 Of course that is the feeling Kendra Scott wanted to convey as I was informed by the staff. 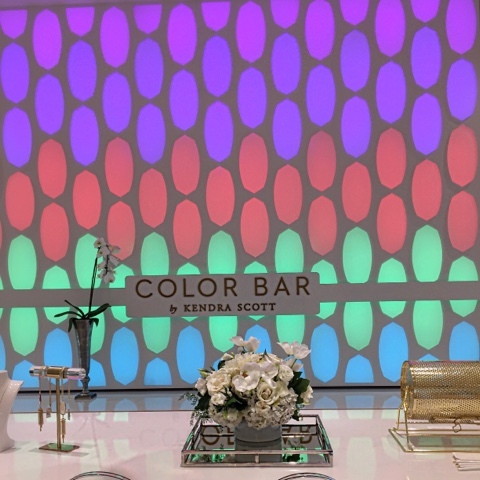 Yes, the store is designed after Kendra Scotts' own closet. 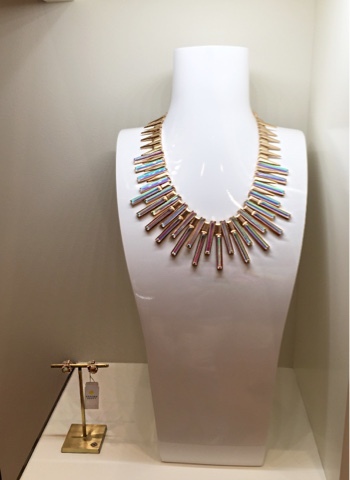 It is light and comfortable and full of the absolute most beautiful jewelry. So here is one of the coolest things ever. A color bar. Ok, so what that means is at this bar you may select any style necklace, bracelet, ring, ear rings anything in the store. Next choose the color of the metal gold, silver, rose gold, or gunmetal. Then for the piece de resistance the stone, way too many colors and styles to describe here, but let me just say, if you can imagine it you can have it. Absolutely magnificent. A personalized piece designed by you. The gracious staff will put it together for you lickety-split. 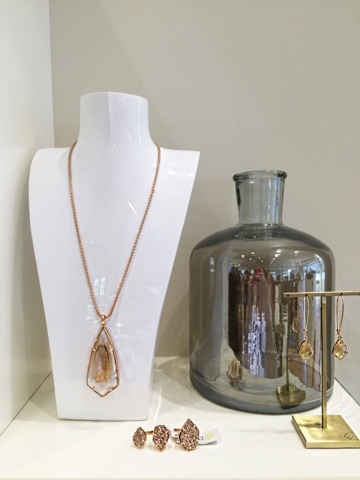 Every detail of the Kendra Scott boutique has been meticulously laid out to make an amazing shopping experience. I love the displays, they definitely show the jewelry while the flowers next to them, or trays they are on, complement the jewelry like no other store. 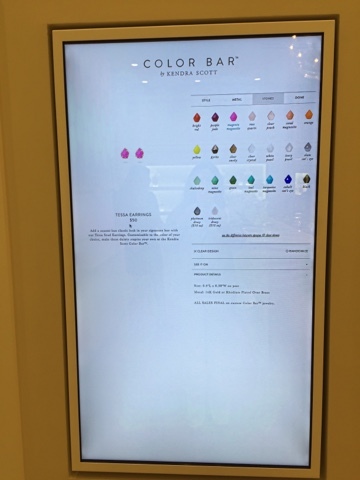 This picture above is a computer touch screen where you can mix and match all the colors of metals and stones. This is where you can preview what your custom jewelry will look like. It is SO cool! 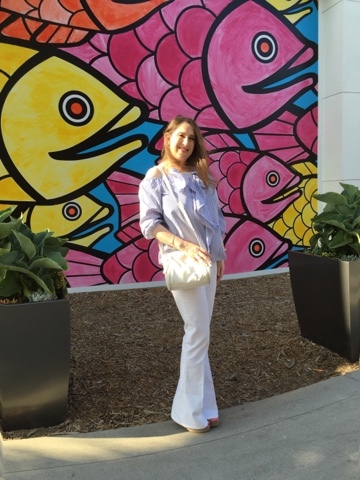 There are some of the most fabulous murals at The Pointe. It really is a fun mall to go hang out in. Thank you so much for reading my post. 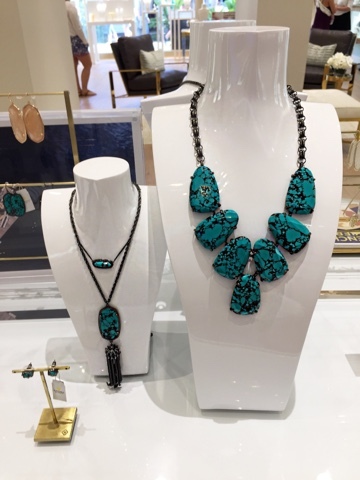 Is Kendra Scott one of your fave jewelry designers too?